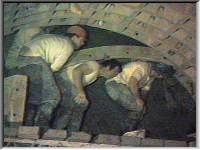 1984 saw the construction of the first British canal tunnel for over 120 years. 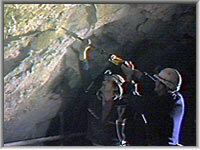 The work, carried out inside the historic Dudley Tunnel, provided a new underground canal link from the area in the main tunnel, known as "The Well", to the intriguing Singer Cavern limestone mine. 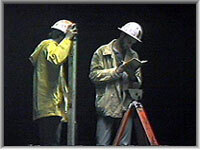 This production provides a rarely seen glimpse of underground construction techniques (much of it manual labour!). This DVD will be of interest to Civil Engineers, mining and canal enthusiasts alike. 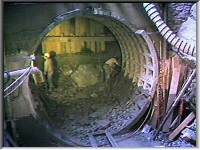 Dudley Tunnel 1988-1989 (follows the Construction of the 1989 canal tunnel into the limestone mines at Dudley). Wren's Nest East (explores the underground canal basin & tunnels of the old limestone mines linked to Dudley Tunnel). A Compilation featuring the BCN is also available. Written by Kelvin Lake & Peter Eggleston.
' PAL' and 'NTSC' versions available.